To help alleviate the fear brought on by World War II, and keep the public updated on current events and issues, the United States government turned to Walt Disney. At the very same time, a 33-year-old author and illustrator named Virginia Lee Burton was serving her country as well. 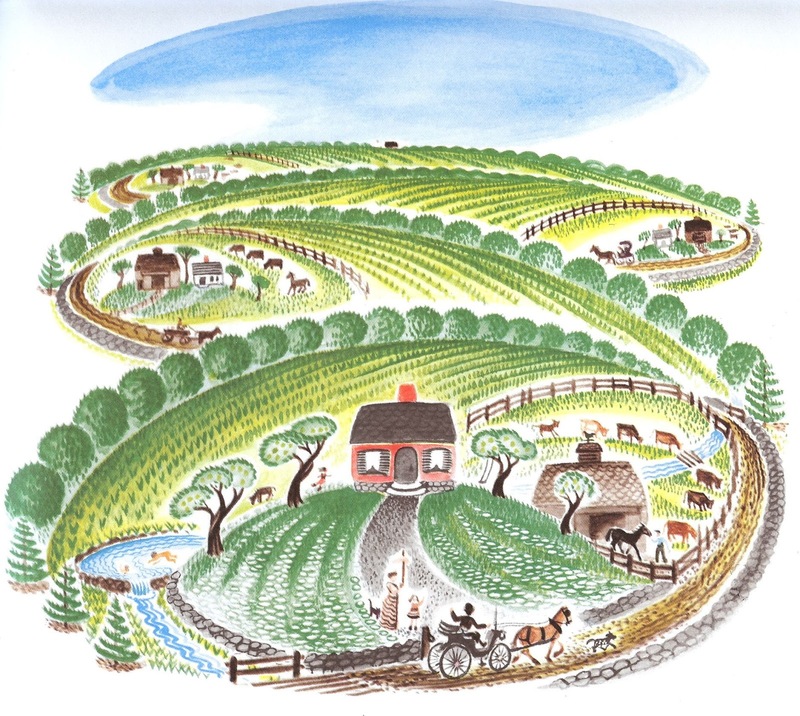 In 1942, her newly published children’s book, The Little House, had captured the hearts of people of all ages. “At the time it was published, The Little House comforted children distressed by the uncertainties of World War II,” shares Barbara Elleman, author of Virginia Lee Burton: A Life in Art. 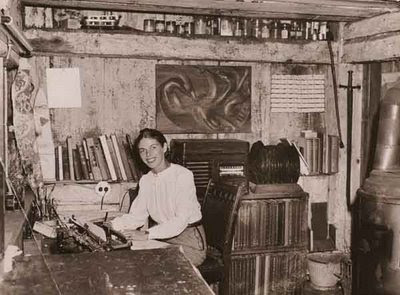 Virginia Lee Burton in her Gloucester, Massachusetts home studio. 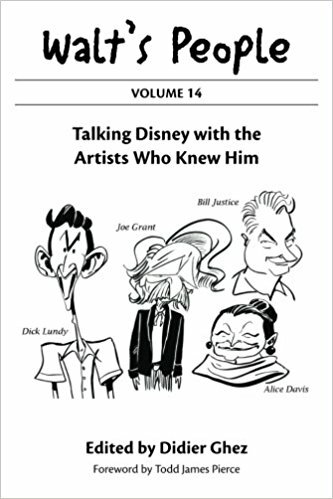 Although the exact year is not known to this author, according to Elleman, “Walt Disney personally invited Burton to California to talk about making a film of the Caldecott Medal-winning book, royally wining and dining her…” When it came down to business, however, Disney directly made a deal with the book’s publishing company, obtaining licensing rights to The Little House for a mere $1,000. The deal, needless to say, put a bad taste in Burton’s mouth, and the finished Disney product in 1952 didn’t do much to improve things. Virginia Lee Burton’s The Little House continues to be an American classic in the world of children’s literature, and her illustrations are nothing short of precious. As an educator, one of my greatest joys is sharing this timeless book with my students, and listening to their interpretations of Burton’s work. The ideas they share do not necessarily stem from her text, but from her vivid illustrations. The change of time and the dawning of industry in The Little House are even apparent to the youngest of my pupils. Barbara Elleman elaborates, “The circular patterns that flow through the first thirteen pages, shaped to fit the page, suggest the harmonious values of country life. When change occurs, diagonal lines and drab grays and browns portend the coming industrialization.” Burton’s choice of colors burst from the pages of her book as each season changes, and the presence of time is evident in every detail of her drawings. With the beauty of her illustrations and the weaving of her words, the reader connects emotionally with the little house as they watch the city limits move in, casting its darkness around the tiny structure. The story itself is so rich, and begins and ends in the happiest of places - on a little hill way out in the country. Illustration from Virginia Lee Burton's original book. Disney’s little house was not the little pink and curvy house depicted in Burton’s illustrations, but was instead more angular and Victorian in appearance. There’s a scene in Disney’s version where children deface the house with red paint and even shatter one of its window panes. As the city limits closed in on the little house, sidewalks and lampposts rise from the ground like flowers and buildings forcefully erect upwards like mighty oaks. In various scenes, looming towers catch on fire, slightly burning the little house, while others are destroyed by wrecking balls, chipping away part of the little structure’s chimney. Much like Burton’s ending, the little house makes it back to the country to perch upon her little hill. Storyboard designed by Bill Peet for Walt Disney's The Little House. Master storyteller Bill Peet (along with Bill Cottrell) was responsible for adapting Burton’s story, and in his autobiography he described her original work as “a gem of a book.” The prolific Mary Blair served as art director to the short film. Despite the creative leadership of these artistic forces, Virginia Lee Burton herself was extremely disappointed by the change of text and images, and “she felt that using a bride and groom at the story’s beginning and end moved it beyond the young audience she had worked so hard to capture." In Burton’s defense, one can understand the heartache she must have felt as she watched her story change before her eyes. To her credit, Mary Blair, however, does an exquisite job at making the house seem extra pathetic and lonesome in her preliminary paintings, and as always, her art is so unique. In a lot of ways, Bill Peet’s version holds true to Burton’s. 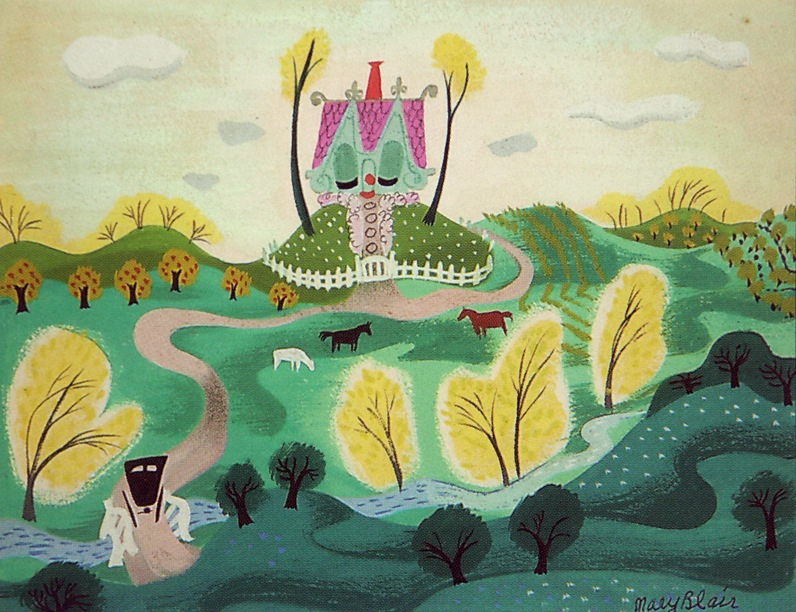 Mary Blair's interpretation of The Little House for Walt Disney's version. It’s only fair to consider both sides of the situation however, and in Disney’s defense, if you completely separate their story from Virginia Lee Burton’s, it is a rather charming little tale. The city’s invasion of the countryside is very effective, and the presentation of sheer scale and depth among the little house and the ominous towers work very well. The city heights hide the sun from the world, and the only source of light is emitted from building windows or the orange glow of fire. The use of warm colors in the countryside and cool colors in the city compliment the various moods of the story. Limited animation for use in the countryside and the chaos it brings to the inner city clearly represents the movement of each locale. To compliment Burton’s version, the use of personification is fantastic; convincing the audience to agree that the little house seems to live and breathe on its own. 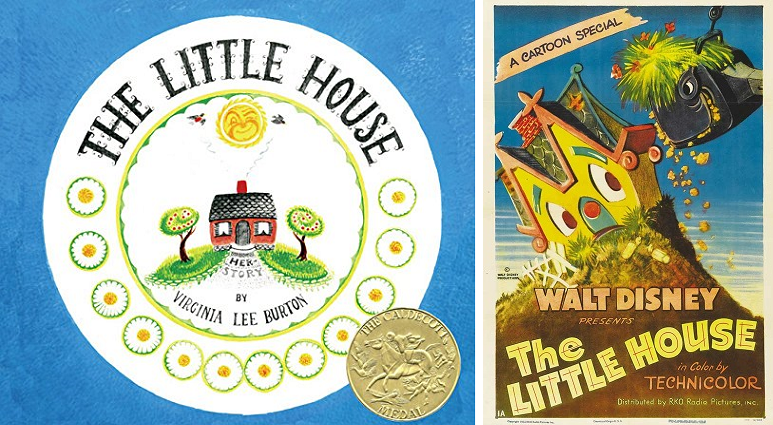 Virginia Lee Burton's little house (left) and Mary Blair's (right). In the end, we are left with two marvelous little tales, each pulling at the audience’s heartstrings in their own special way. However, one cannot deny where this story was born, or the individual who brought it to life. As of almost ten years ago from this posting’s publication, an article by Judith Rosen revealed that Virginia Lee Burton’s two sons bought back the rights to their mother’s beloved story. One can’t help but feel that the return of The Little House to its rightful place is as momentous of an occasion as Oswald the Lucky Rabbit’s return to the Disney name.